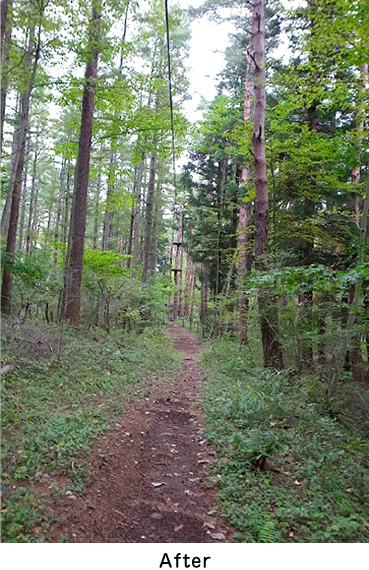 “Over 60% of Japan is forested. Most of this is former plantation for discontinued forestry operations, and is now neglected and unmanaged. Densely planted trees, left uncut, cuts off sunlight to the ground and stifles the growth of other plant species. When a Forest Adventure course is built, we thin the tree cover and open up the canopy, leading to a renewal of the forest habitat. 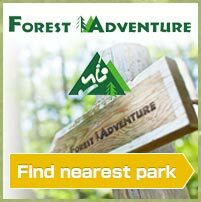 Forest Adventure also brings many visitors to the forest, who can connect with nature and learn to appreciate the woodland. “Trees are alive, which means that forests are alive as well. One small change to the forest can gradually affect the whole habitat. 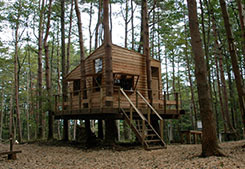 We hope that Forest Adventure will be around for as long as the the lifetime of a tree. Simple living in the forest. 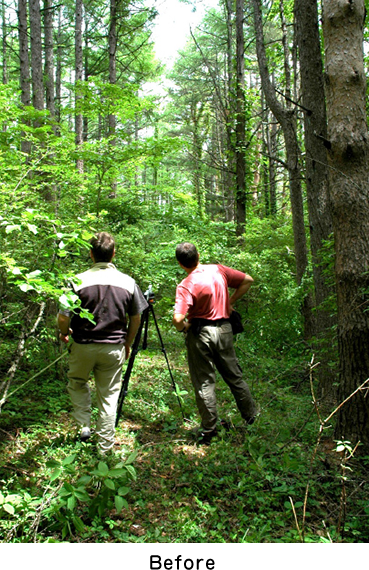 “We try not to have a big impact on the forest. We avoid using concrete if possible, and sometimes we don’t have mains water, electricity or gas (one park has none of these!). Some people are surprised to learn that we can get by without these amenities, but we manage ok!